Ravneel is a 12 year old boy. Ravneel is one of 4 children. His father earns a living as a casual labourer. Work is hard to get and they survive on a meagre monthly income. 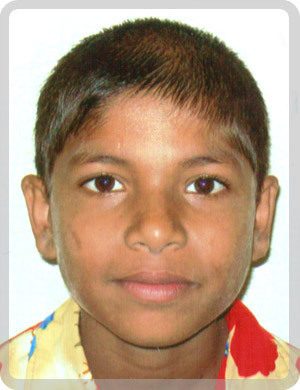 Ravneel enjoys attending school and his favourite school subject is mathematics. Ravneel travels to school each day on foot, which is luckily a short distance. When he grows up, Ravneel wants to be a automotive mechanic. Ravneel's Dad is the sole bread-winner and due to their large family size he is not in a position to financially support his children's education. Ravneel now receives the education every child deserves.